Calling all entrepreneurs. Get to know the resources and connect with like-minded leaders from Omaha's community of established and future entrepreneurs. Are you a freelancer, small business owner or thinking of starting down the path of self-employment but unsure as to what resources are out there for you? Are you looking for ways to connect with local resources and fellow entrepreneurs outside of the usual online meetups, business directories, and evening networking events you can never quite make the time for? Start Omaha may just be what you’re looking for! Start Omaha is a special morning networking event focused on providing a common ground for entrepreneurs in and around the Omaha area to network as well as bringing awareness to resources, small businesses and freelance opportunities within the Omaha area entrepreneur and startup community. Visit with local support organizations just for small business owners and entrepreneurs and learn more about the services they provide, from free specialized mentoring to financing and everything in between. Join an icebreaker or sit in on a lightning talk and be part of discussions on inclusivity, awareness, and leadership in the local workforce. 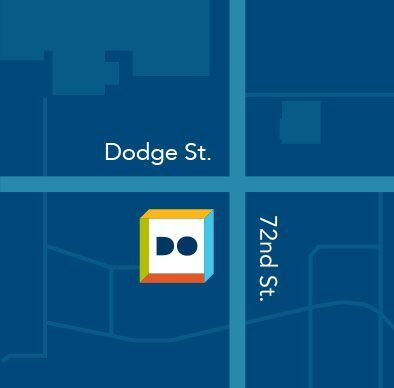 This event has something for anyone interested in small business entrepreneurship; whether you’re a startup owner, a student, a professional business owner or even a community member interested in supporting local business, Start Omaha is a perfect opportunity to become more meaningfully involved with Omaha’s growing entrepreneurial ecosystem. Start Omaha takes place on Thursday, September 13th at 8:30AM. Doors open at 8:15AM. Grab some coffee and breakfast on us and come prepared to grow your network and gain new perspectives!